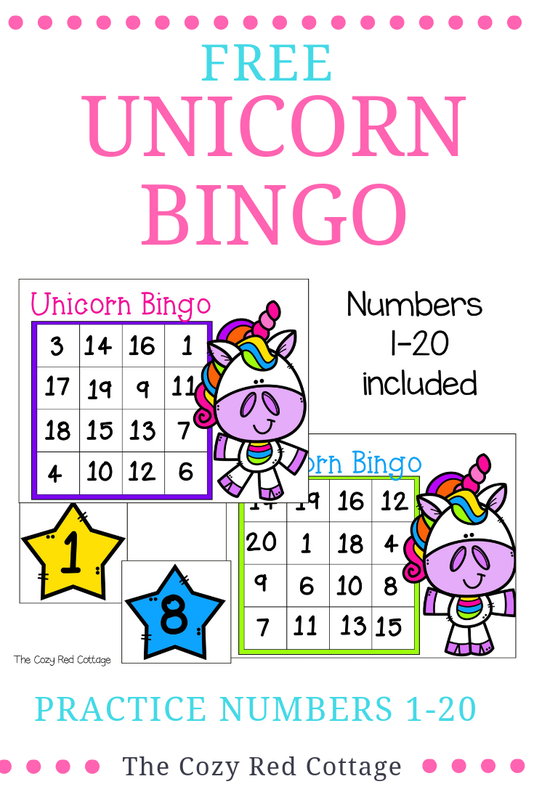 Practice number recognition with this adorable unicorn bingo game! We are working on numbers 1-20 and this game is so fun your little one won't even mind playing over and over. My little one LOVED it! 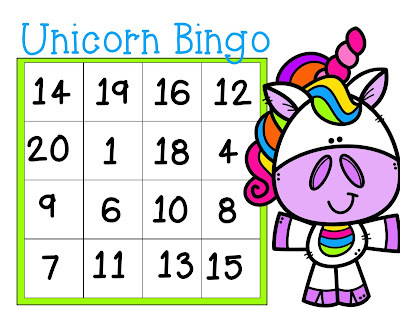 Download the free bingo cards below (there are 10 different boards). There is also a set of calling cards (color and b&w option). 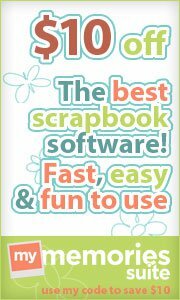 I printed my boards 2 to a page but you can print them as a full sheet. 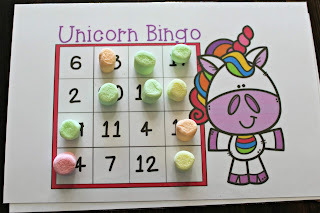 Laminate and cut bingo boards apart if needed and calling cards. 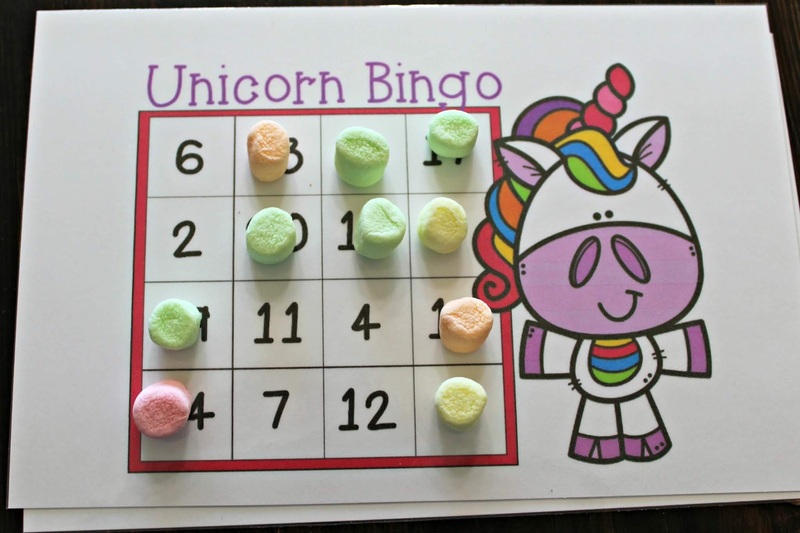 Place the calling cards in a bowl or bag. 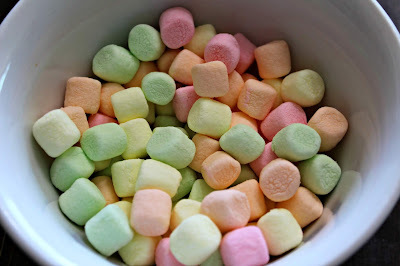 We used "rainbow puffs" aka mini marshmallows as markers. 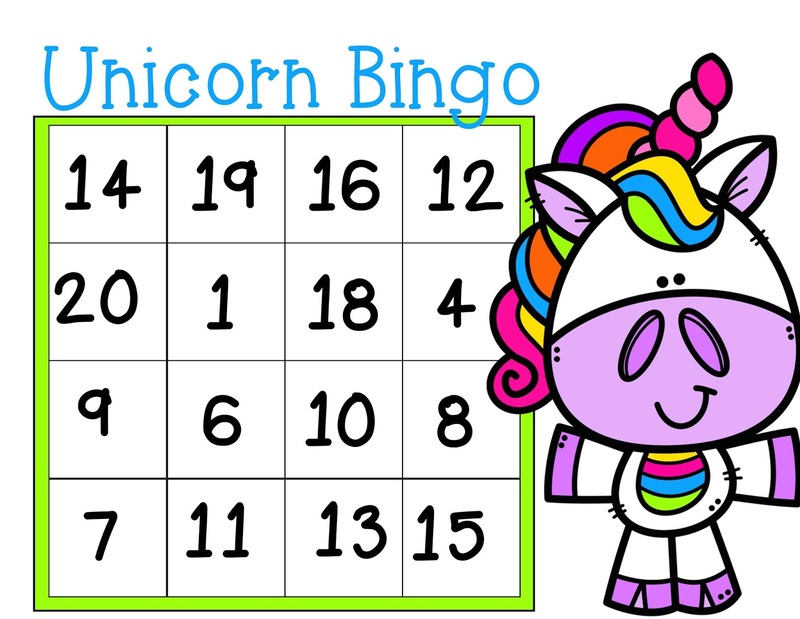 First person to get 4 in a row wins!